Buying coins is something many collectors enjoy doing. Not only are you building a collection, but you are also creating an investment for yourself or your family's future. As the old adage states, "You make your money when you buy." This means you want to buy a coin at the right grade and the right price, otherwise it could take many years to recoup your investment. In order to properly research a coin you are considering adding to your collection, you will likely gather data from a variety of sources in order to make an informed decision. 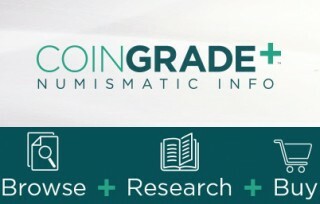 You might search the Professional Coin Grading Service (PCGS) and Numismatic Guaranty Corporation (NGC) websites to look for population data – i.e., how many of these coins have been graded and placed in PCGS or NGC holders at a particular grade. Even if the coin of interest is in an NGC holder, scouring the PCGS website will give you an idea of the total certified population. You might also want to see how many coins are listed in higher grades. This will give you a truer picture of how many coins have been certified by both services in your desired grade and how many are certified at a higher grade. This will also tell you how many coins are likely available for purchase. After you research populations, you might search the Web for original mintage figures or pick up a hard copy of "A Guide Book of United States Coins," also known as the "Red Book," to determine the actual mintage numbers of each coin. The Red Book is a valuable resource, but it is offered only in print. Finally, you need to determine the appropriate price range for this coin. Pricing can be a long and involved process that may require checking multiple sources. Both grading service websites offer an idea of what a proper retail price may be, but you might also wish to review recent auction results for similar coins. Another great resource for pricing coins is CoinValues.com, which likely lists the coin you are considering in your desired grade. As you can imagine, the plethora of information available on the Web has given everyone an opportunity to research prices and values, but has also complicated the process by delivering much needed information in a huge number of Internet locations. APMEX, one of the nation's largest bullion and collectible numismatic coin dealers, recently released a time-saving tool called CoinGrade+™. This online tool displays mintages, certified populations, numbers of coins graded higher and other vital information on more than 5,000 certified coins, all in one convenient Internet location. And best of all, this information is free for both APMEX customers and visitors to the APMEX website. There is no restriction that this information only be provided to current or prospective APMEX customers. One other major consideration when conducting research before making any buying decision is how current is the information you are using. Data found on CoinGrade+™ from both PCGS and NGC is synced daily so you know the information is never out of date. You are truly making decisions based on the best currently available information. APMEX provides this information to customers and website visitors alike, free of charge and all in one convenient location to make coin buying easier, less time-consuming and more transparent than ever. It is time to make coin buying fun again! Hi guys - can you explain what the AMPEX service offers that I can't get from say the PCGS site? It sounds like this service is essentially merging the access to mintages and census data for both PCGS and NGC into one locations. I'll go have a look myself but thought it can't hurt to start some discussion. I want to call attention to my service, Nostomania.com as one of the other "multiple source" sites collectors can utilize. I'm glad you emphasize collectors should always make use of many of the valuable Internet services available. On Nostomania, I have millions of actual sales collectors can research. I compute my own price guide, the only one I am aware of which is driven entirely by actual sales. One of the best features, however, is that once a collector enters their collection in My Lists, Nostomania automatically computes a value estimate and keeps it up-to-date for you. I recommend all of you take advantage of this free service to obtain one more unbiased estimate of your collection value for insurance, investment, and other purposes.